Bring the luxe exerience of a day at the spa to your master bath with the streamlined style of this modern shower panel. Perfectly flush when installed against a flat wall, this contemporary bath fixture features both waterfall and rain shower options for a soothing spray that suits every bathing preference. A complementary handshower mimics the panel's contemporary aesthetic and creates a completely refreshing shower experience from head to toe. Capri I Shower Panel Bring the luxe exerience of a day at the spa to your master bath with the streamlined style of this modern shower panel. 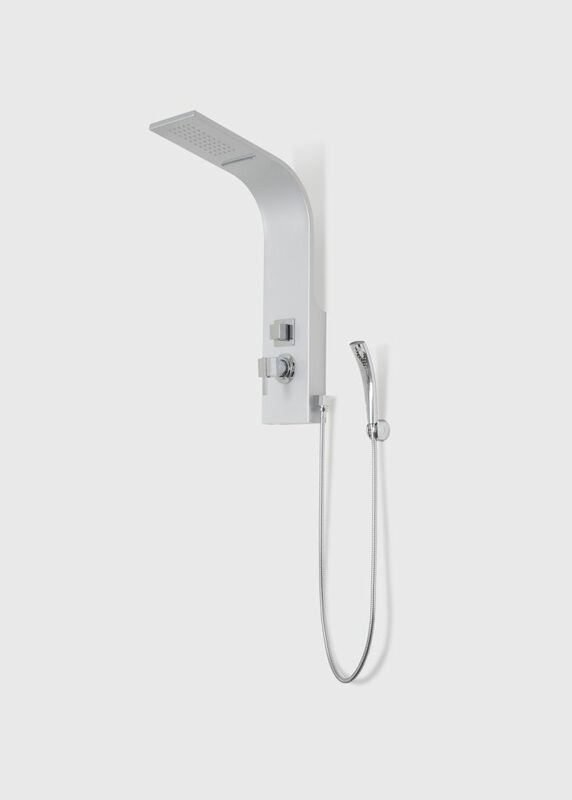 Perfectly flush when installed against a flat wall, this contemporary bath fixture features both waterfall and rain shower options for a soothing spray that suits every bathing preference. A complementary handshower mimics the panel's contemporary aesthetic and creates a completely refreshing shower experience from head to toe.